After taking a spin through the realm of mega budget superhero films with "The Amazing Spider-Man" and its sequel, director Marc Webb now helms the charming family drama "Gifted," returning to the type of small-scale filmmaking that first brought him success. It's not too surprising to find that the "(500) Days of Summer" director seems much more comfortable with this type of character-driven story: the best scenes in his Spidey films all revolved around the relationship between Andrew Garfield's Peter Parker and Emma Stone's Gwen Stacy. In "Gifted," Webb's aided by a fantastic cast, who go a long way in making the story's predictable trajectory work as well as it does. 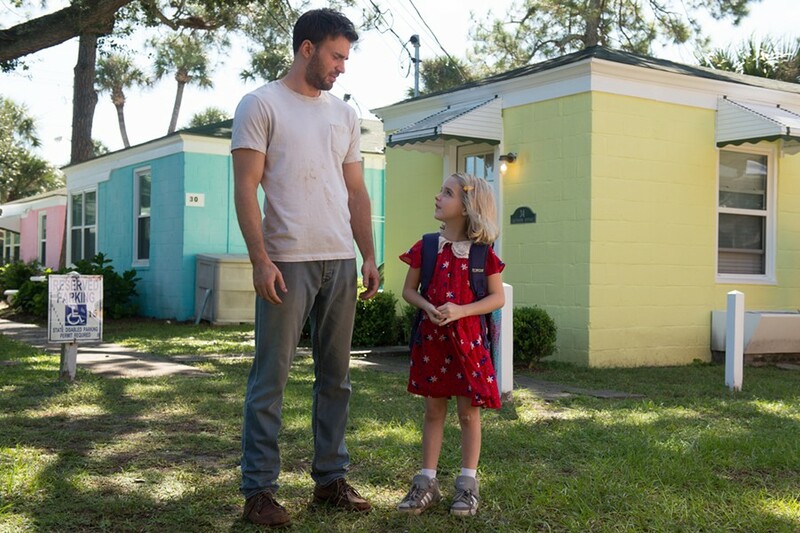 Chris Evans stars as Frank Adler, a Florida bachelor and sole guardian to his 7-year-old niece, Mary (Mckenna Grace). A former philosophy professor, Frank left the academic world behind to care for Mary since her mother, Diane, died shortly after the girl was born. Diane was a world-class mathematician, and though she's just entering first grade, Mary is already showing signs that she's inherited her mother's considerable gifts. A wonderful young actress, Grace capably sidesteps the pitfalls that often bring down child actors in these types of overly precocious roles: she's convincing as a young genius and still manages to behave like an actual human child. She and Evans are great together, and their banter is one of the film's highlights. Mary's teacher, Bonnie (Jenny Slate), is the first at school to notice the girl's abilities, recommending that Frank enroll his niece in a private school that has the resources to cater to her needs. For his part, Frank is adamant that Mary stay in public school, maintaining that the most important thing at her age is to have a completely normal life. But Frank's mother -- Mary's grandmother -- Evelyn (Lindsay Duncan), gets wind of Mary's burgeoning intellect, and swooping in from Boston, is adamant that what Mary really needs is to be immersed in the world of academia and given the most elite education money can buy. The best way to do that, in her eyes, is to bring Mary back to Boston with her, and soon she and Frank are drawn into a bitter custody battle to decide the girl's future. Frank struggles to do what's best for Mary, worrying that he's making the wrong choice and effectively ruining his niece's life. Tom Flynn's script makes the slightest of efforts to humanize Evelyn's character, though there's never any question who we're supposed to be rooting for. The story would have benefitted from making her more sympathetic; as is, she's more villainous than is in any way logical. Thankfully, Duncan invests the character with a humanity that's often lacking on the page. Like Evans, she has a nice (though very different) rapport with Grace; it's a shame that scenes featuring all three actors are few and far between. You don't get many casts as appealing as this one (Octavia Spencer also turns up as Frank's heavily involved neighbor, Roberta), and they go a long way in overcoming the script's more manipulative instincts. The story is compelling on its own, but Flynn can't resist piling on the melodramatic embellishments. By the time Frank is speeding down the streets of Florida, rushing to save Mary's beloved cat from being put to sleep, it's all a little much. But damned if the cast don't sell it for everything they're worth. Evans has charisma in spades, and as Frank and Bonnie develop a romantic relationship, he gets some lovely scenes opposite Slate before she all but disappears late in the film. They're all so likeable and charming, and work so well together that I wished these talented actors weren't stuffed into a narrative framework that only barely supports them.